Your poster ​will have your photo and your text on it. You simply fill in a short form and email me your photo, it will ​probably take​ about 5 minutes. Then, once I've made your poster, I will send ​it to you via email. ​Please note that by using this free service, you agree that your posters will be shared publicly, by me and others, on social media and possibly on printed posters as part of the Millions Missing awareness campaigns. You may ​use your poster ​whenever you wish​, you do not have to wait for my permission or for ME Awareness ​days to share it. I understand that some people are in vulnerable positions and cannot be identified publicly. You may still contribute anonymously. If you do not wish to show your face, you ​may send a representative image instead. ​You could send a photo of your view from your bed in the "ME Perspective" style or send a photo of an empty pair of shoes you no longer wear. Your email address will not be shared publicly, it is only needed to contact you about your poster, if necessary, and to send ​the completed poster to you. I have a few other awareness campaigns you may be interested in contributing towards. These campaigns include quotes ​from patients with ME​. The graphics in these campaigns are not sent to you once created, but you ​can access the entire collection online. See details below. In ​2017 I created the "​​Effects of ME" campaign for ME Awareness month in May. Quotes are collected from patients about how ME affects their daily life. They are asked to complete the sentence "​​You know you have ME when...​​​" in their own words. The resposes show, in a practical way, ​ME's ​debilitating effects on ​even the most ​ordinary ​parts of our daily lives. All quotes in this series are anonymous. These images are free to share and can be found here. You can contribute to this collection by submitting your quote here. In 2018 I created the "Severe ME is..." campaign for Severe ME Day in August. For this series, severely ill patients are asked to complete the sentence "Severe ME is..." in their own words. The response I got was powerful and heartbreaking. A very vivid look at the suffering this illness causes. For this series patients may choose to share their identity or remain anonymous. You must be ​housebound or bedridden to participate in this series. ​I'd like to thank everybody who has contributed to these awareness campaigns and shared their stories. Your openness and honesty about the devastating effects of this illness is helping to educate the public as well as showing other patients that they are not alone. 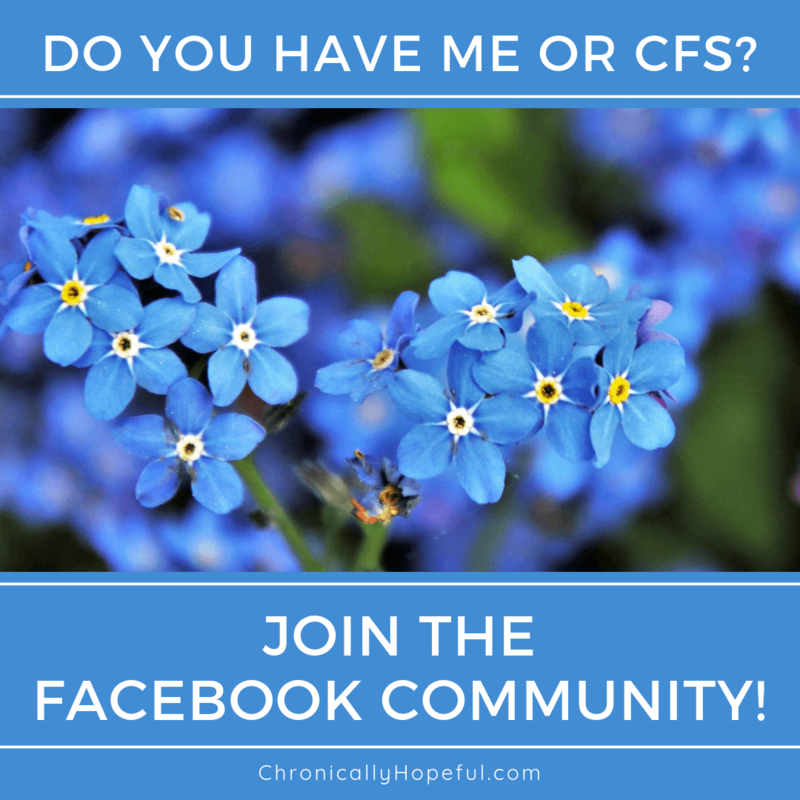 ​If you'd like to share your whole story in more detail, I'd love to feature you as a Warrior of The Week here on Chronically Hopeful and accross all my social media channels. Visit this page to see how you can be featured. Once again, you may remain anonymous if you prefer not to be identified when sharing your story. First, THANKS so much for doing this! It is incredibly kind and generous. Sadly, I can’t get the button for the short form for the poster information to connect. Could you please look into this? You’re welcome, Ellie. The link has been reconnected. Thank you for pointing it out. Please let me know if you’re still having issues. Ah, thank you, Savannah. I’m just happy to help and be a part of the campaign even if I can’t get out of bed. Requests are coming in at a rate of about 10-20 a day! Glad it’s been so well received.